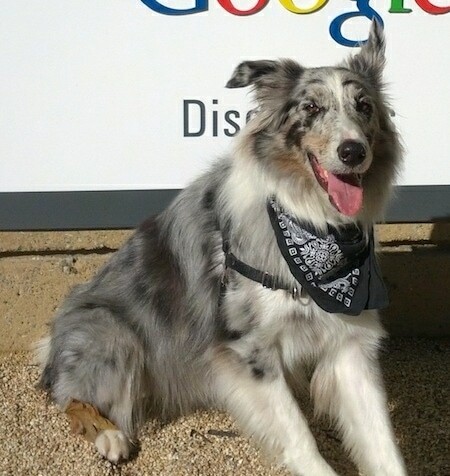 Moose the blue merle Border Collie is very sweet and playful. 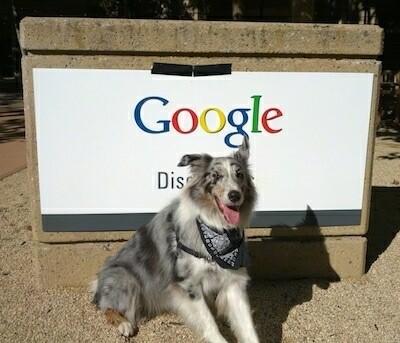 He is one of the Google dogs that gets to go to work with his owner. 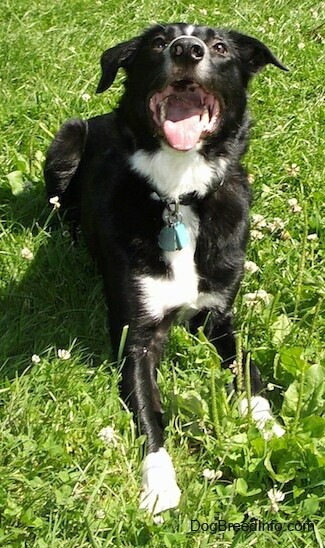 Buddy the Border Collie at 3 years old—"Buddy is my best friend! 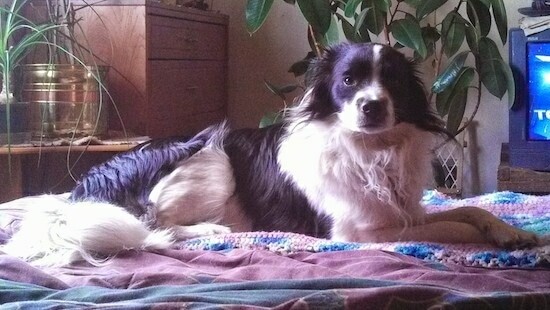 I rescued him and his sister from the Black Forest fire of June 2013 in Colorado Springs, CO that killed hundreds of animals and destroyed 450 homes when he was just 5 weeks old. I believe that their extraordinary intelligence allowed them to survive the fire. 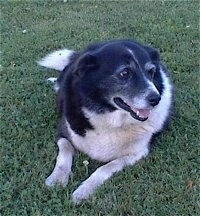 He is the most intelligent, sweetest, loyalist and best dog I have ever owned! 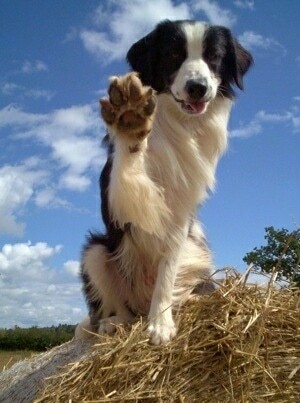 I recommend the Border Collie for people that want the best dog ever!" 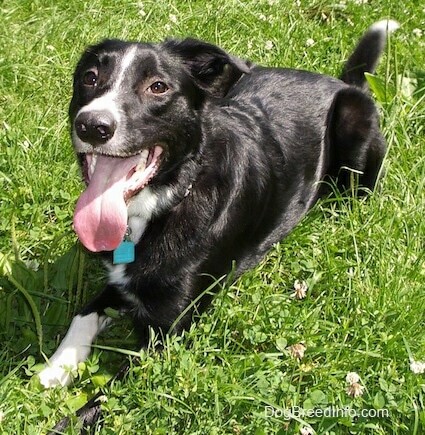 "Barney is an 18-month-old Border Collie who, when we first had him, was only a couple of hours off being put to sleep because of problems with aggression (fear based—like many collies, he can be shy and timid) and rounding up children (another very common problem with young, bored BCs). Basically he hadn't been socialized and was not getting enough exercise." 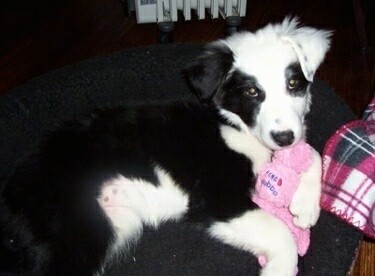 "We have now had Barney for a little over 6 months. 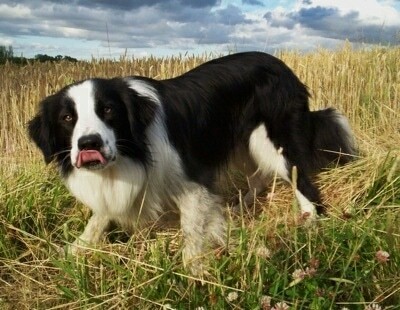 He is turning into a great dog, although he's still only young and very excitable. 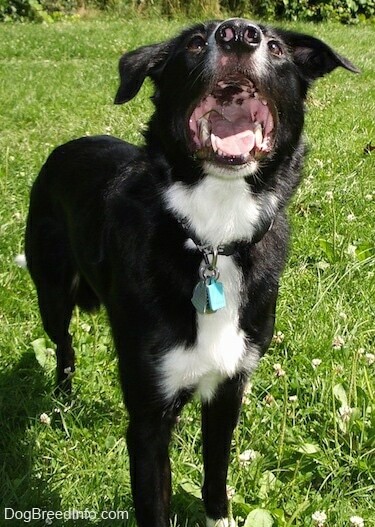 We have socialized him with people and dogs and encourage him to experience new things in a positive way. He gets an hour or two of exercise everyday, and as well as running and swimming, I make sure he uses his brain. 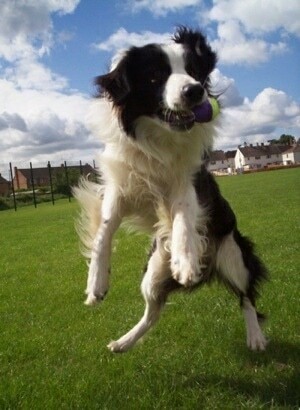 He has to jump over or onto objects, do sit/stays, retrieve or do couple of tricks for me. 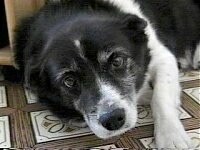 This means that Barney is now much calmer in the house—tired dogs are definitely better behaved dogs." 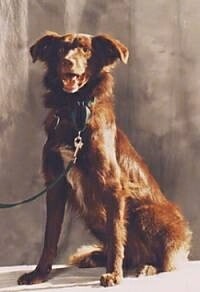 "He is a great dog and a good representative of his breed (showing both the good: faithful, playful, active, intelligent and very willing to please and bad characteristics: slightly timid in new situations and noise phobic (he hates gunshots, he also has a strong chase instinct.)) Barney, like many BCs I've met, doesn't show any interest in other dogs out on walks, he is totally focused on you and the ball, everything else is invisible! 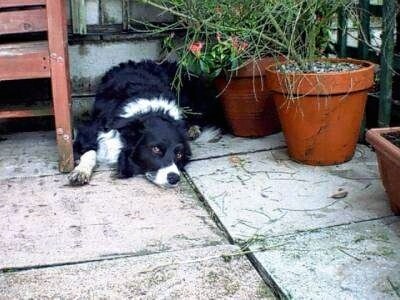 I would say Border Collies can make wonderful pets but people should not assume because they are so clever, they will settle down into the family routine straight away, knowing what's expected...it just means that while a normal dog would lie down and sleep, during the day, Border Collies will think of 50 things to do to entertain themselves before the end of the morning and you probably won't find most of them funny! 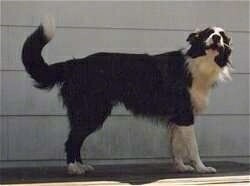 With the right training and enough exercise though, they make fantastic pets.... I couldn't imagine being without one now!" 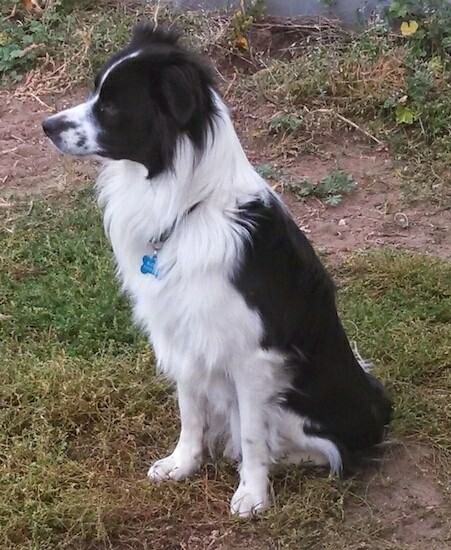 This is Cody, a 7-year-old, tricolor Border Collie. 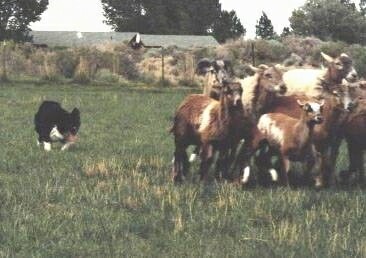 He has titles in obedience, herding, flyball, agility and therapy. 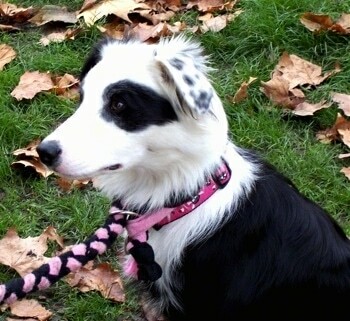 Kaiya the Border Collie as a 4 month old puppy—"I think the markings on her face are very unique; she looks like a bandit or like she's wearing sunglasses." 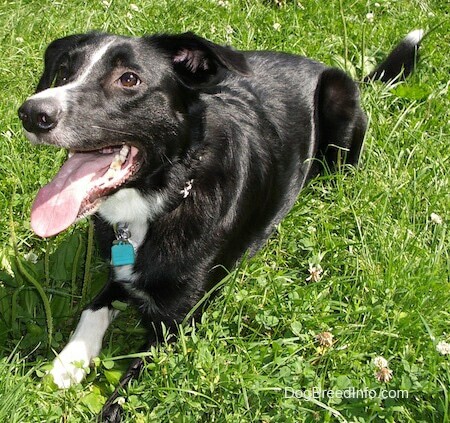 Kaiya the Border Collie at 1 year old—"She is a playful girl who never runs out of energy and is always awake and ready to play. 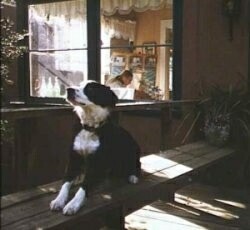 Her best friend is my first dog, a German Shorthaired Lab. 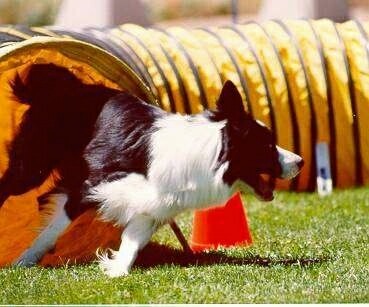 She is in agility, tracking and a great soccer player and she is only one year old." 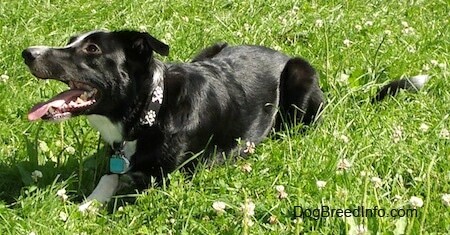 "This is Patty on an important squirrel watch! Patty is in Piedmont CA, along with Alan and Loretta Eskenazi." 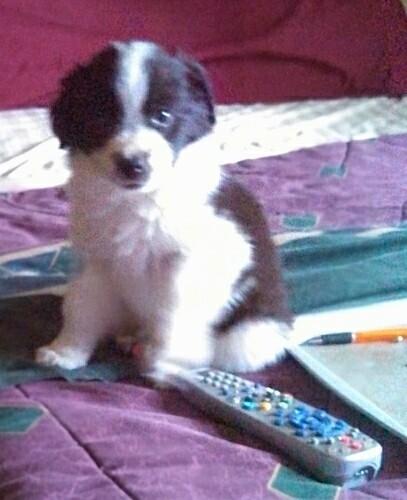 This is Brook, a blue merle Border Collie.